How to resize photos for emailing? 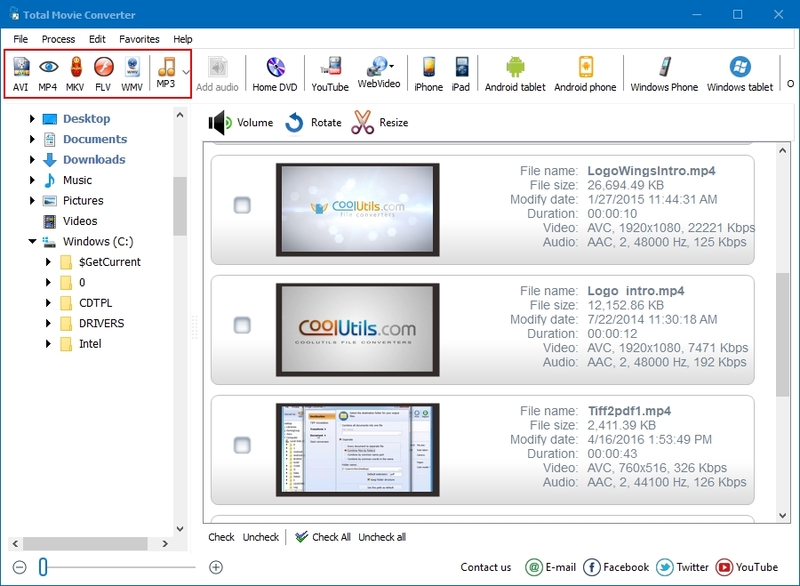 You are here: CoolUtils > Total Movie Converter > How to resize photos for emailing? Total Movie Converter is the handiest tool that converts files from almost all video codecs to most commonly used formats, which include AVI, MPG, WMV, MPEG, FLV. Converting videos from Vimeo is very simple. 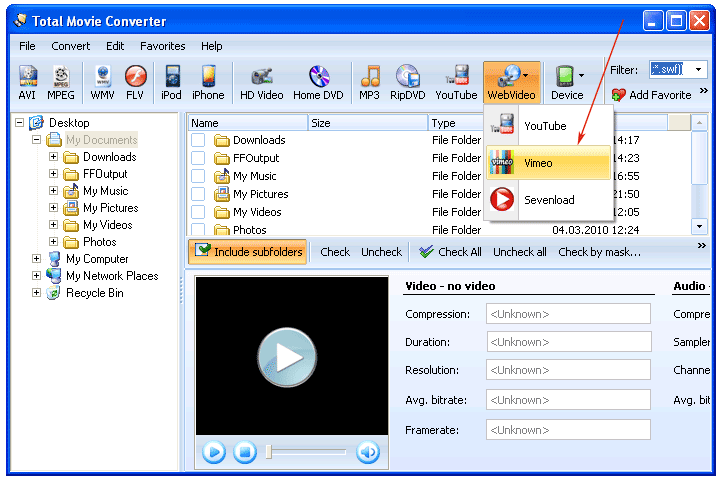 Launch Total Movie Converter and select WebVideo from the Convert to menu or from the toolbar at the top of the interface. Then select Convert from Vimeo and enter the URL. The Wizard will help you select destination folder, codec and audio parameters, which include channel, sample rate and bitrate. 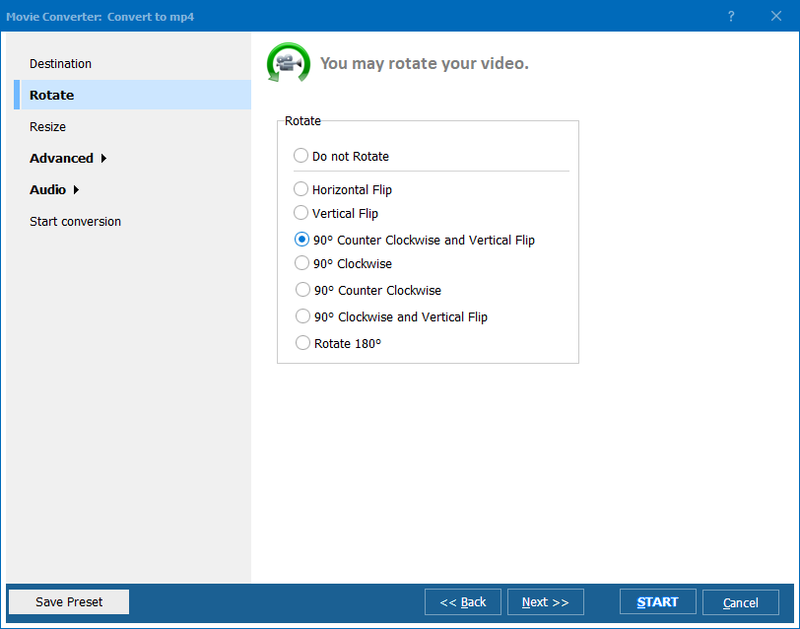 You can rotate and cut your video in your own preferred fashion. This is all very handy, because you do not need browse for video grabbers or converters any more. Now, it takes just one tool to grab a vid from Vimeo and convert it. This is all about Total Movie Converter. You can download a series of videos from Vimeo and then convert them to any format supported by the tool. If you have accumulated lots of videos, you can batch-convert them to your favorite format. Just use Check All function to check all the videos contained in your selected folder and specify your target format. Total Movie Converter is available online. You can either download the trial version and use it for 30 days or buy the key right now. Although WebVideo has been added to the program, the price has not changed. If you buy the license version, you will get free tech support and upgrades.